• For use with woodworking / gardening / electrical engineering / automotive applications. • “ Dusting “ and optional vacuum attachments. - Ergonomically designed and rubberized handle – keeps the user’s wrist at the same angle in any application, thereby reducing fatigue. - Large Trigger Switch – Can be depressed with two fingers for reducing fatigue in operation. 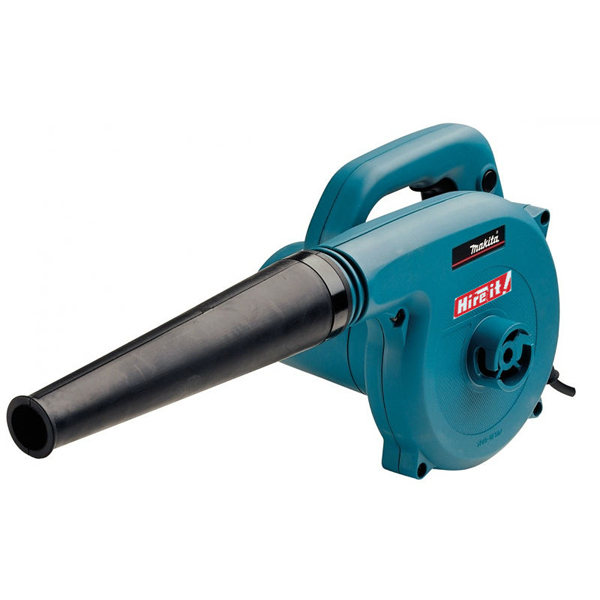 - Vacuum Operation – with optional dust bag, the blower can be used as a vacuum. Vacuum operation free from static electricity – the blower is equipped with an anti-static function to protect the user from shock through electrostatic build-up during vacuum operation.